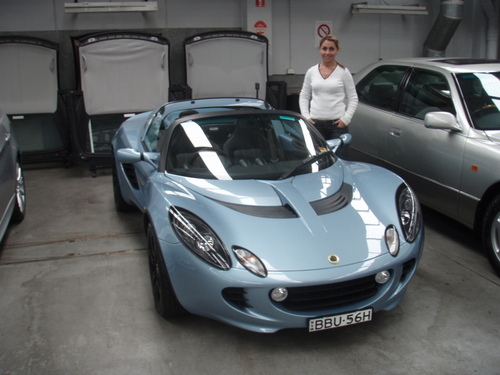 It seems to of passed so quick but it was one year ago now that Sanna a me drove down to Rick Damelians who opened up especally to let me come and collect the shiny new Lotus. I remember finding out just 2 days before that it had arived in the country and I would be able to pick up after the final checks were complete. I was so excited it was like Christmas, no wait, it was better than christmas, I felt like a little boy again. 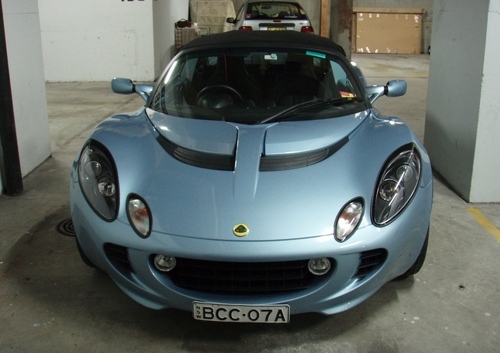 So how have the running costs been day-to-day of running a fun inpractical sports car in the middle of a city. Well kinda ‘practical’ to be totally honest! Insurance: I insured fully comprehensive (of course) for $120k and with both me and Sanna insured to drive it only came to $1650 with a $750 excess. Now for a car with a replacment value of $120k I was plesently shocked and supprised. Crazyest quote I received was for $6500 so shop around I learned! Day 365 and still grinning under its present owner. Petrol: a full tank has seemed to of lasted me a few weekends, seeing as I mostly use the car once a week for a spirited drive through the countryside it seems to use half a tank for each good long heavy throttle session. The tank is 43 litres in size and when pootering around town using low rev’s it just simply seems to use petrol fumes instead of petrol! Honestly without doing some proper tests I would say Sanna’s Peugeot 205cc and its 2.0 litre engine uses more petrol than my Elises’s little 1.8 litre engine. Of course when on the race track or a hard country lane driving session and your revving the hell out of the engine, which this engine really seems to want to do, the fuel ecomony starts to go South very quickly. Ok yes its all in Canoes strictly, the kayack’s with rudders for steering will be next time but here are the photos from our very COLD but fun Autumn weekend away to Kangaroo Valley with Michelle and Jase. Saturday morning and a thick fog was all around as we woke up. We’ve taken to the water in our 2 man canoes and were off. Exploring the river as we paddled downstream there was never a single person in sight. A stop on the river bank as we found a patch of grass for lunch. Michele and Jase were a lot faster than us at most time mostly as me and Sanna argued over which paddleing technique to use.